I bought this for my son's 1st birthday. Absolutely a great purchase with no regrets. Of course he is too small to ride on his own but the remote function makes it perfect for ages 1+ and fun for dad! You can steer, brake, change speeds, and change directions via remote. He has riden in his Jeep every day since it arrived. The lights and radio are awesome as well. Looks really cool and of course daddy likes it too :) Assembly only took about 45 minutes and was quite simple. No complaints! 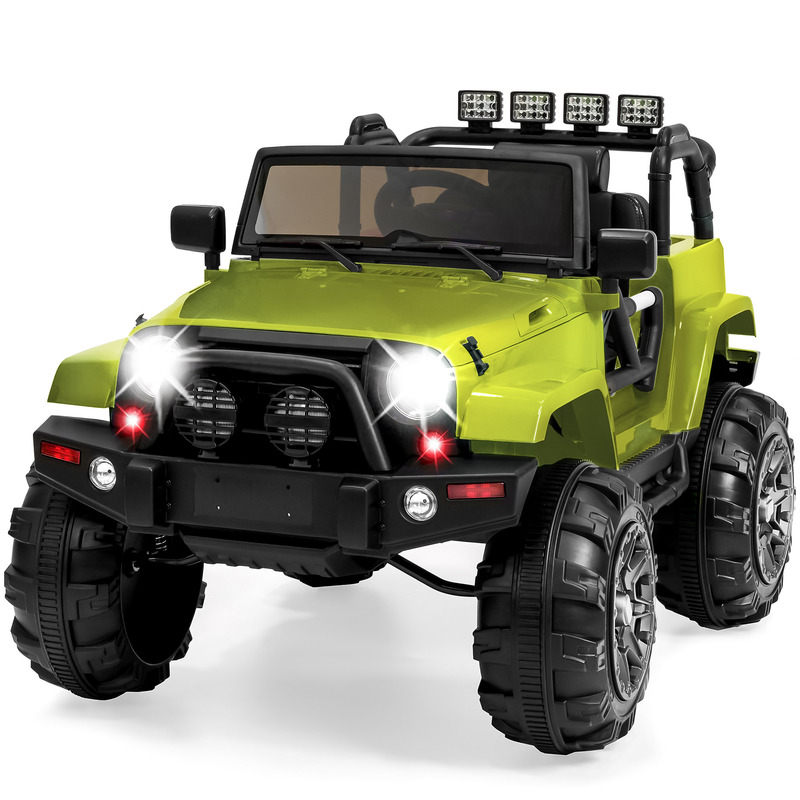 Tbook.com crawls the web to find the best prices and availability on products like Best Choice Products 12V Kids Electric Battry-Powered Ride-On Truck Car RC Toy w Remote Control, 3 Speeds,.... This product is one of the more popular items we list which is why it is in our "hot deals" section. If you have any questions on this product, please give us a call at 734-971-1210 during the hours of 9am - 5pm EST for assistance. Thank you for shopping at Tbook.com, the Internet Department Store!